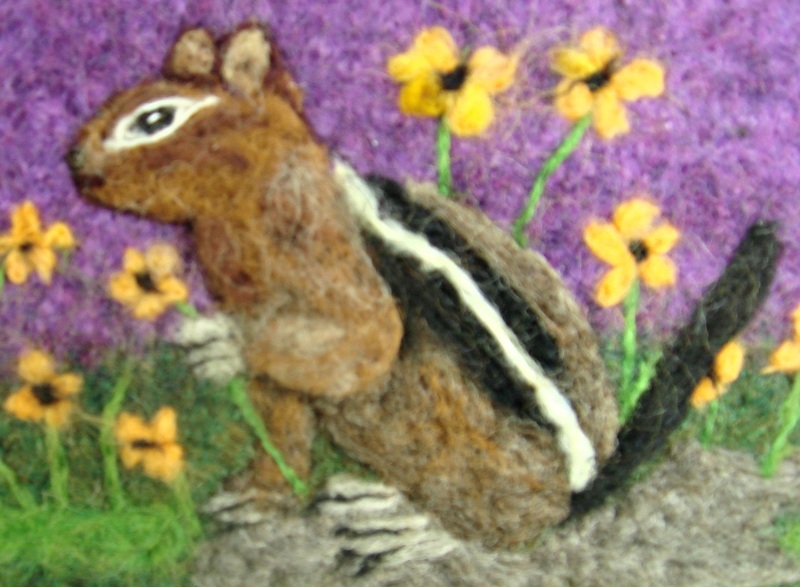 DESCRIPTION: This little chipmunk holds flowers for it's friend. 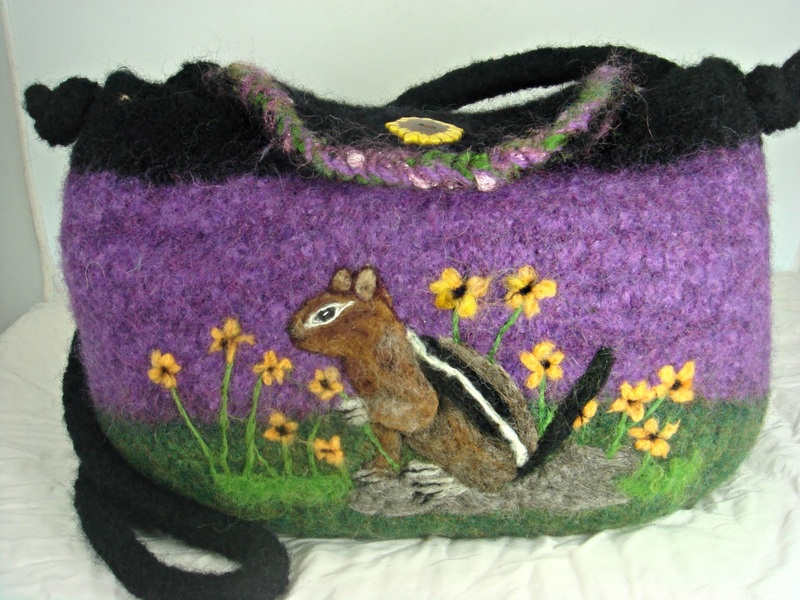 It highlights the front of a beautiful purple heather and green felted handbag. 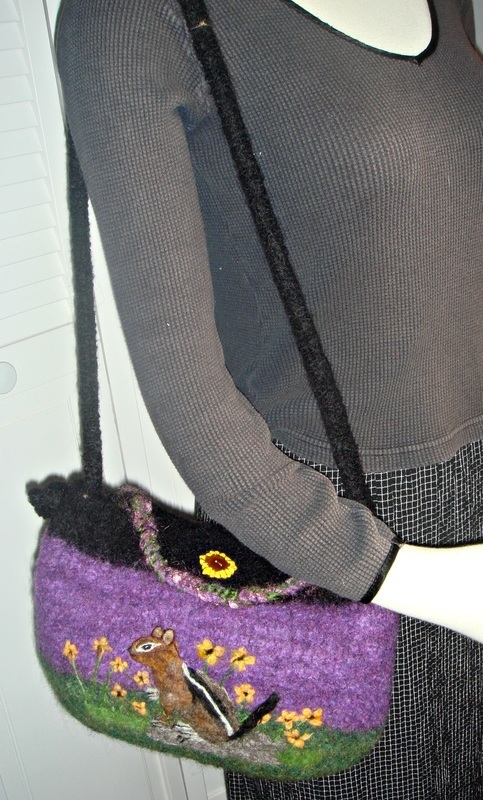 The bag has inside pocket and closes with a ceramic sunflower button. The measurements are: 13" X 8" X 4". The ADJUSTABLE strap has a 21" drop but can easily be shortened. Adorable!! MEASUREMENTS: 13" X 8" X 4"